I’m in my (ahem) mid-thirties. When my parents were my age they had 2 children. And no internet. No desktop/laptop at home. No smartphones. And no tablets. I firmly believe our parents’ lives were harder than ours. Because, well, let me say that again. They had no internet?!? I remember when, in the 90’s, my dad bought our first computer – my parents would have been in their 40s then, and my brother and I were in our teens. It was a massive thing (literally) – massive monitor (I just remembered that monitors weren’t always flat!) and massive CPU. We had MS-DOS on it, and my brother and I pretty much started using it as a word processor to replace the (wait for it) typewriter we had and that we played around with. Anyway, back to the key fact that our parents had to muck through this parenting business WITH NO INTERNET or mobile phones! Do we realise what that means? If they had to pay a bill, they had to go to the bank or the post office. If they wanted to get the weekly grocery shopping in, well the only choice was to get the car and go to the shops (and believe it or not, in Italy my parents are still leading a life where if you want food you need to go to the supermarket!) They couldn’t order takeaway or buy clothing through an app. They had no Amazon or eBay! If they needed anything, they literally had to go out and get it! And let’s talk about that time of year when it comes to renewing your home / car / whatever insurance, what do you do? You go to a comparison site, put your details in, work out who can provide the cheapest quote, phone your current provider, tell them to match their competitor, and if they can, all good. If they can’t, then you switch providers. Our parents physically had to go door to door (provider to provider) to save a little money. Was it really worth it? We certainly take it all for granted, but how would we do everything if we couldn’t check our emails on the train, order the shopping for the next day while waiting for the bus, arrange the children’s piano lesson while you wait at the swimming pool to finish their swimming lesson? I mean, it feels like there’s never enough time to do anything as it is. Can you imagine what life would be like if we couldn’t do half of the things that we do on our phones or laptops WHILST doing something else? Scenario for our parents: child comes home with an assignment to write a short essay about snails. What does the parent do? Picks up the ‘S’ volume of the encyclopaedia (bonus point if it’s an animal-specific one) and points the child to the available information about snails. OR, packs up the child with stationery and everything on tow and goes to the library to find books on snails. What if they needed a recipe for that evening’s dinner? What if they had a screaming baby in arms and needed fast remedies for teething? Or what if they got a random question by their 8-year-old about how fast a Velociraptor could run? No internet forums? No blogs? And no chance to read about something random that pops into your head while you’re breastfeeding the baby? Life must have been pretty tough when all you had on hand to help at home were dictionaries and those heavy, dust-collecting encyclopaedia books! I remember when my dad got his first mobile phone. Initially I used to borrow it to send text messages to my friends from school, also using their dads’ phones. But it was never mobile. Because we didn’t take it out of the house for a long while. 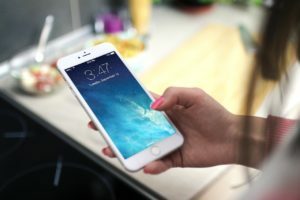 It was only when I was 19 years old and went out with my friends for New Year’s Eve that I was allowed to take my dad’s phone so that my parents could phone me (or I could phone them) to check that everything was ok. Before that, if I was out with my friends, they really had no way of contacting me. I remember an episode once when I had gone out with one of my girlfriends one afternoon after school. A while later she met up with her then-boyfriend, and they went off for a walk together. All would have been fine, had I not bumped into our mums, who were also friends. Where was my friend? Didn’t we go out together?! I had to come up with some excuse there and then to cover for my friend (apparently the mums bought it, or so they let me believe). But how would I let my friend know what she had to say? With no mobile phone? I had to make another excuse with the mums, jump on my bike, rush around like a maniac to find my friend and tell her who she was meant to tell her mum she was with. Phew. Our children will never believe these stories. I hate being on the phone. Of course when I was a teenager and spending all my mornings at school with my friends, we’d then go home and phone each other straight after lunch (on the landline of course) and spend HOURS on the phone (with the added bonus of having your mum yell at you from another room to tell you that you needed to get off the house phone). Who knows what we used to talk about!? Now, at best I need to drop someone a message to let them know what time we’re meeting or ask the husband to pick something up on his way back from work. Even ‘deeper’ and more meaningful conversations with my friends (who are mainly also busy parents) happen through instant messaging and social media – it just allows you to pick it up when you can, knowing that your friend will do the same. It’s quick, it’s always there, it’s always available, and you can access it when you’re doing something else. Our parents actually had to pick up the phone or go and speak to people. And of course there’s something to be said about that and about the way we are actually losing the ability to communicate properly with each other, but that’s another story for another day. What it comes down to is the amount of time we’ve been able to save with the advent of technology. The things that we take for granted now weren’t even there when we were growing up. What unimaginable devices will our children have that will make their lives easier when it’s their turn to become parents? But most importantly, how did our parents did it all and made it look easier when they didn’t have all the tricks that we have up our sleeves? Hat off, parents. You did well. You did very well. The 5 things that are sure to annoy a mum of (just) boys. What does having three children (or more) really look like? (Part One). What does having three children (or more) really look like? (Part Two). My mum (and dad) organised Christmas for 7(!!!!) with no car and no internet- I genuinely have no idea how they pulled that off! That really is quite impressive! Imagine us trying to do that – I know I’d be hopeless! It’s fine to have no car… if I can an order in. But if I have no internet…..?? ?